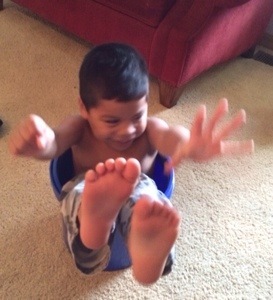 In fact, he did not need help to get out of the bucket. But he did want me to take a picture. And for a wonder, his feet are not irredeemably dirty. I don’t know what that means, but I think I’m not leaving the office for awhile.